Eaten in Europe and Asia since ancient times, pine nuts are still popular in modern Western cuisine. They can be added to meat, fish, salads and vegetables, and are also in bakery products and pesto. Pine trees take a long time to reach maturity and to yield a good harvest. Investing in pine nut production requires long-term thinking. However, existing supplies have not been able to cope with increasing demand. Due to growing world demand, pine nuts are collected unsustainably from forests. Incorrect harvesting techniques and lack of controls do not allow for the tress to regenerate. 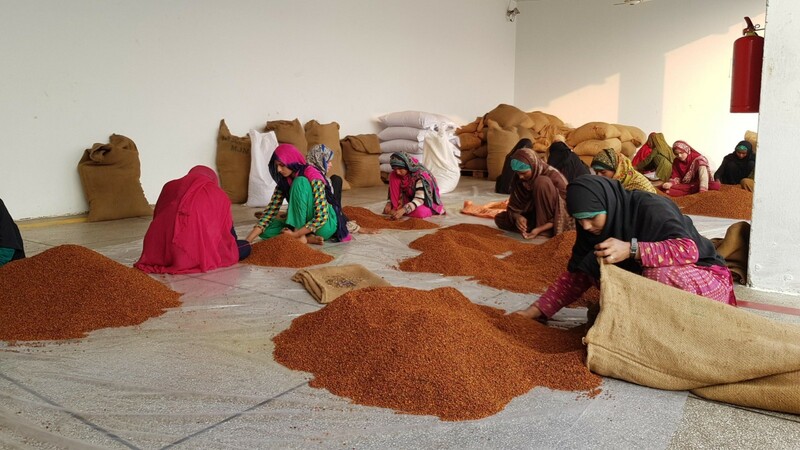 In Pakistan, pine nuts are an important cash crop for communities. The depletion of these resources will have a great impact on livelihoods of the local population, whose alternatives in these harsh and dry areas are few. The need for sustainable collection and proper resource management is pressing. Spread across an area of 175,000 m2 covering the Hindu Kush, Karakoram and Western Himalayan mountain ranges, North Pakistan is highly biodiverse. Protected areas cover 11% of the mountains, and community co-managed conservancies add another 12%. However, threats remain to the region’s unique biodiversity as local communities overharvest wild products, leading to a depletion of natural resources in the region. 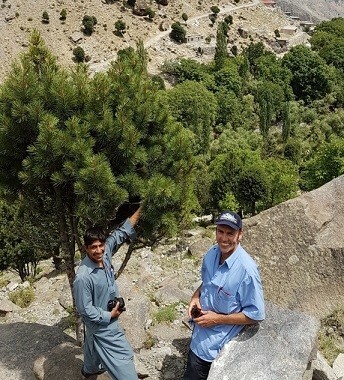 Under the umbrella of CBI and the Mountains and Markets project (GEF/UNDP), ProFound designed a pilot project in the Northern areas of Pakistan. This pilot focuses on sustainable sourcing of high-quality pine nuts by implementing multiple quality standards. In addition, we support certification of products to add value on international markets, including FairWild certification. Pakistani suppliers of wild-collected products often find it difficult and costly to meet quality standards needed in international markets. At the same time, international buyers are becoming stricter regarding traceability and quality. To tackle these issues, ProFound designed a certification tool offering a one-stop solution for sustainable quality management standards for natural ingredients. With this tool, ProFound offers an easy and affordable approach for companies to implement sustainable collection and quality management standards, as well as to make them part of their business planning. Additionally, it guides them through the certification process for organic, Fair and FairWild. The aim of the pilot project is to export certified pine nuts to Europe. The market entry steps will be assisted by CBI through activities such as trade fair participation and buyer missions. Exports of FairWild pine nuts will directly contribute to sustainable community development through the FairWild premium fund as well as through good practices which will guarantee future resources.